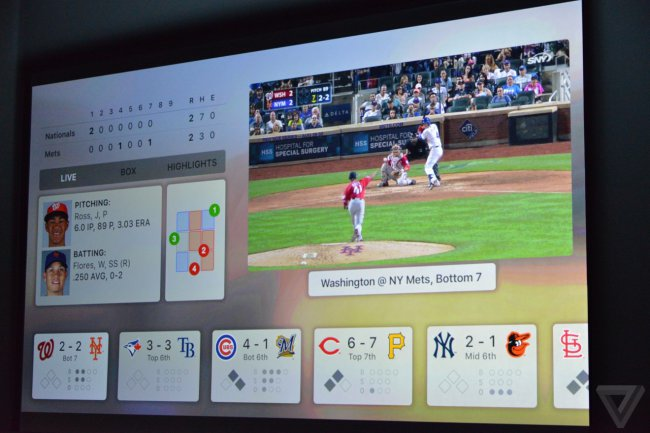 “The future of television — in applications!” — said from the stage, Tim cook. Yes, all is well. 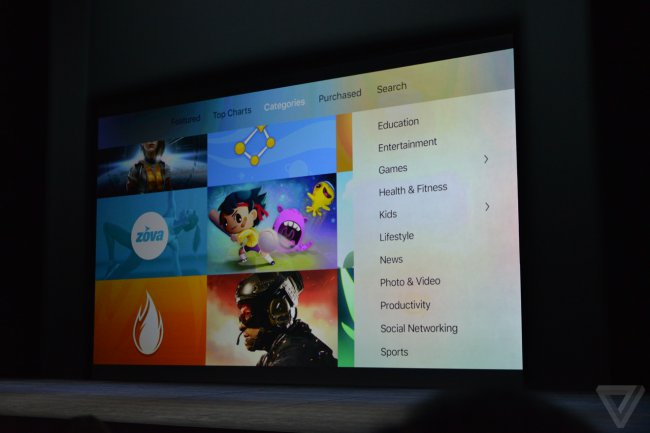 On the Apple TV will see all the applications. 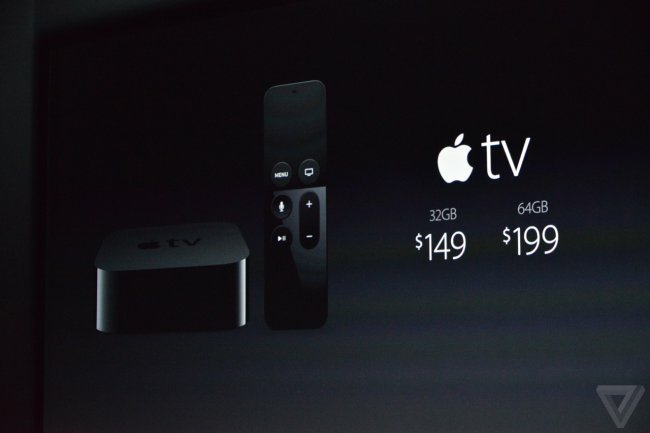 Including — and on the new Apple TV 4 generation. All the details below! So, the applications to be! Not so favorite apps that provided access to the chosen media. Because the hardware and operating system is powerful, not in words but in deeds. The TV show is, of course, ordinary, but now it all became much easier — thanks to tvOS. Yes, it’s no longer iOS, and it — you won’t believe great. Changed the remote. 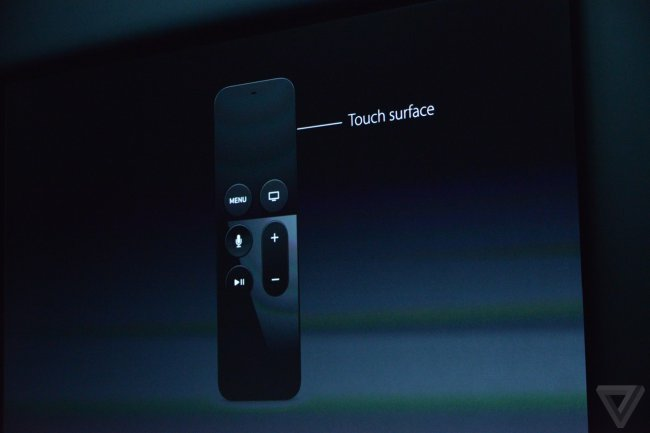 It was voluminous, it appeared to the touch panel and slight change of the control button. But rewind inside the video became much more comfortable. And play with it will be possible — functionally, it was similar to the Nintendo Wii controller. All this magnificence will be possible to manage and with the help of Siri. Yes, it will be possible is banal to ask Siri to show us a fresh interesting show. And our favorite voice assistant from Cupertino will easily be able to offer us the most interesting from the point of view of most movies and TV series. And even the outcome of a game of your favorite team to show. And yet — the App Store. Google Nexus Player can go in the closet: you can play directly on Apple TV! Isn’t that what we dreamed of for the last couple of years? 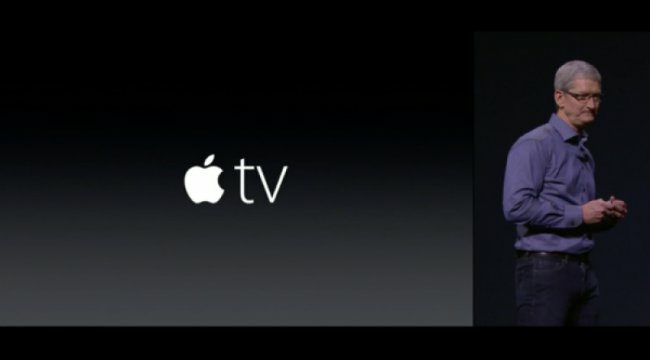 All (or almost all) from the App Store will be available on the set-top box from Apple. And most importantly — it’s a game! If the original remote you are not satisfied — you can use your iPhone or iPod Touch as a controller. It is a pity that did not show anything mind blowing graphics from entertainment apps. But we are patient, we will wait… Inside the new consoles — Apple A8 (although it would be desirable and more powerful), but everything else remained the same (except internal memory). Prices for the device start at $ 149 for the version with 32 gigabytes, the older model has memory of 64 GB and the price tag indicates $ 199. Looking forward to it.